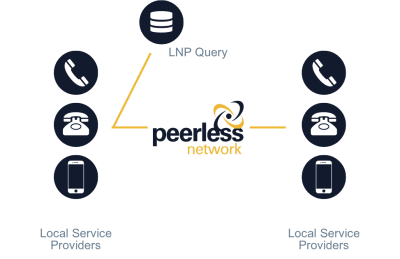 Peerless Network is known for our success making carrier-to-carrier interconnections simple, fast and cost-effective. And with network service in now in 192 LATAs, it is even easier to directly connect with Peerless for Local Transit and Tandem services. The quality and efficiency delivered with our Local Transit service is why most major US carriers continue to rely on us, including leading CLEC, Cable and Wireless providers. And with each new connection, our Local Transit service becomes even that much more valuable—and essential. When you directly connect to Peerless, you directly connect to a roster of over 3,700 carrier interconnections. Through direct connections with Peerless you are able to by-pass the incumbent Local Exchange provider and link directly into superior service and market-driven rates. Peerless Network is platform-friendly and built to accommodate both IP and TDM traffic seamlessly. Through continuous expansion, Peerless Network is now available in over 192 LATAs … and counting. One of the main reasons we founded Peerless Network was to spur competition, so to say that we offer competitive rates is simply redundant – like our network. In fact, Peerless offers extremely competitive rates for our services and covers transport costs when your interconnections travel to Peerless and on to an interconnected provider.